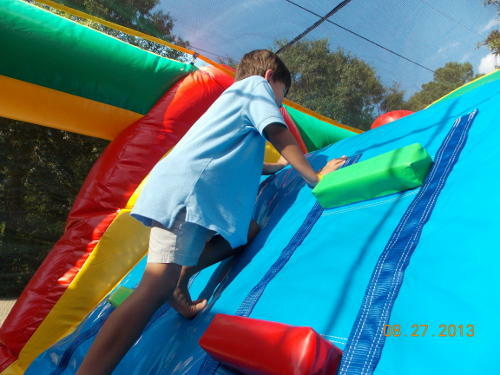 This version of the Radical Run has 60 feet of radical obstacles and a giant 16-foot-tall rock climb and double lane slide. 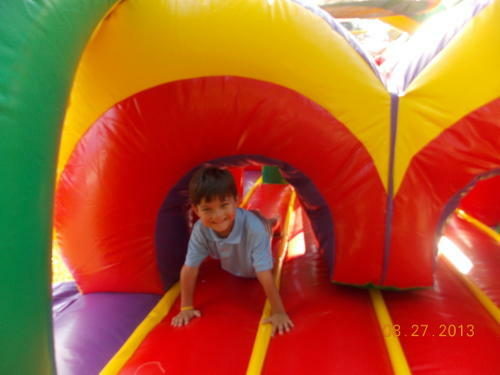 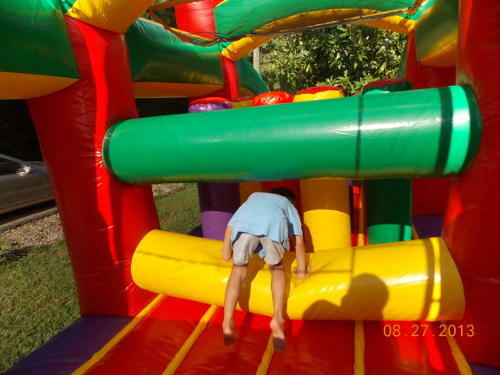 Participants enjoy a wide variety of challenging obstacles such as tunnels, pop-ups, sqeeze-throughs, climb-overs, and the slide. 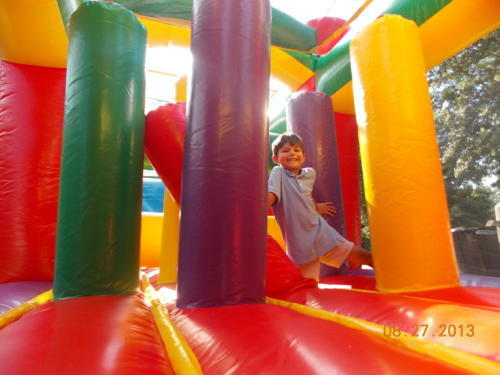 This is great for schools, churches, company picnics, and charity events, but can still fit in most backyards.